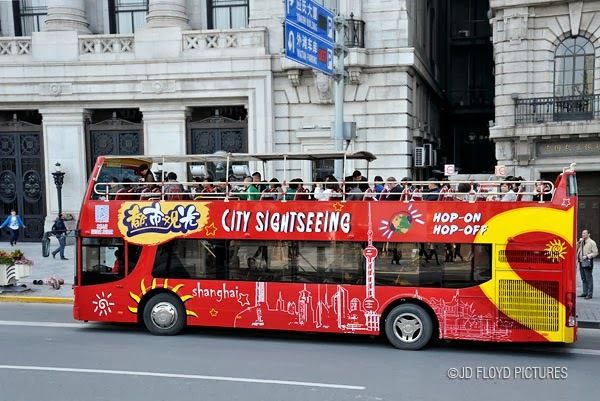 The best way to quickly tour the city without tour guide is by hopping on to the city sightseeing bus operated by Big Bus Tours. 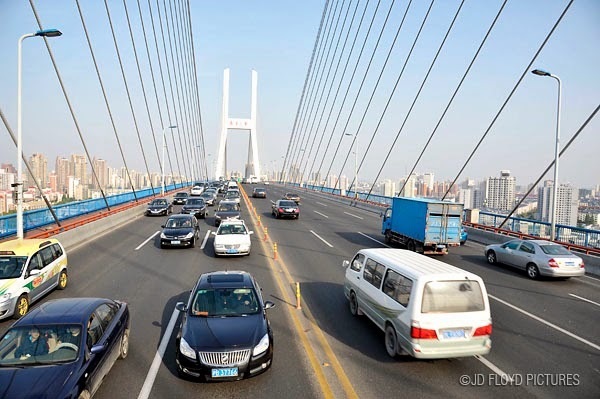 The fare starts at RMB100 (approx. $16) and the ticket is valid for 24 hours. 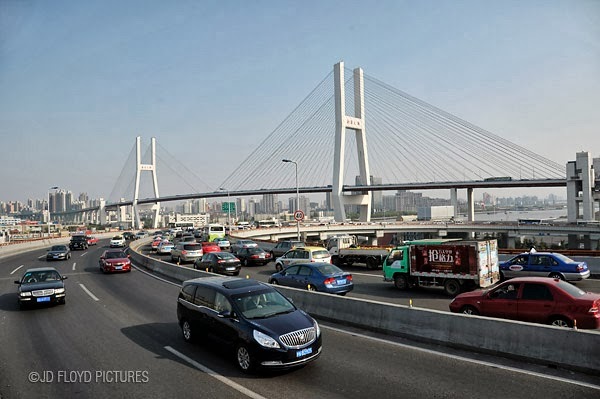 This was taken during our trip to Shanghai earlier this year and the partly-open upper deck of the tour bus makes it perfect for capturing the magnificent views as you cross the Huangpu River via Nanpu Bridge. 7-lane is wide enough? 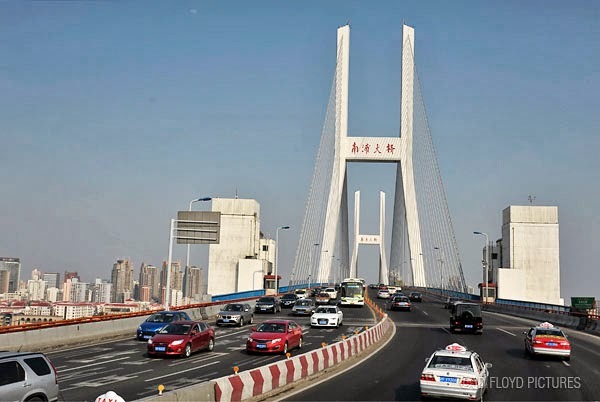 There are other bridges apart from Nanpu. 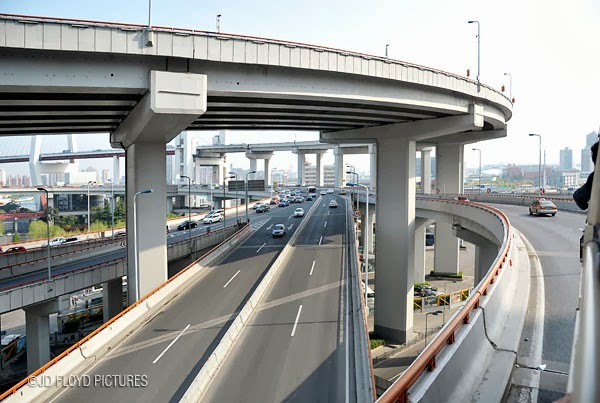 Three to four elevated roads criss-crossing each others. 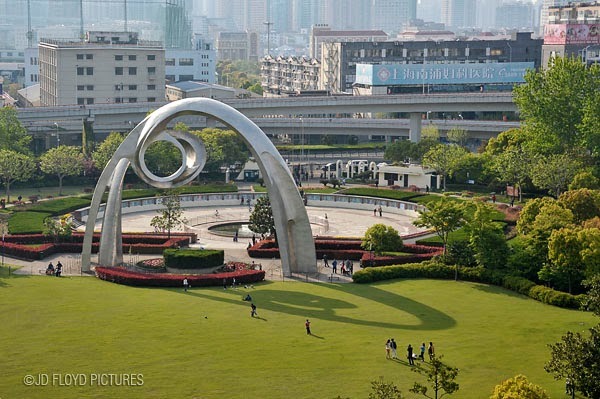 I love Shanghai & would love to be back here for another trip. interesting,we should have a ride like that too at major tourist towns.